Fortnightly Bin Collections - Just Rubbish? 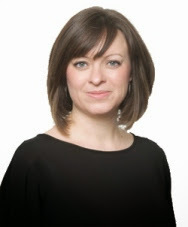 As Labour's Environment Spokesperson on Dundee City Council today I have voiced my concerns about proposals to be brought froward by the SNP-led Dundee City Council to end weekly waste collections. I am unhappy that these proposals are not included in the council's budget proposals when this is clearly a money-saving exercise. I think that the people of Dundee should be consulted on this major move and I urge them to make their voices heard. I cannot believe that the SNP Administration are trying to sneak this move through. 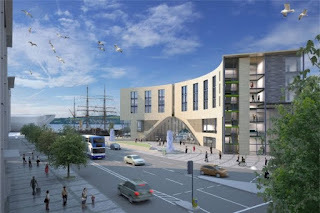 This is a major change and the people of Dundee should have a say on this. I am concerned that such a major savings initiative is being left out of the council's budget setting process - what other major changes are being left out? We have seen that there is a general lack of transparency and openness and this further proves that point. 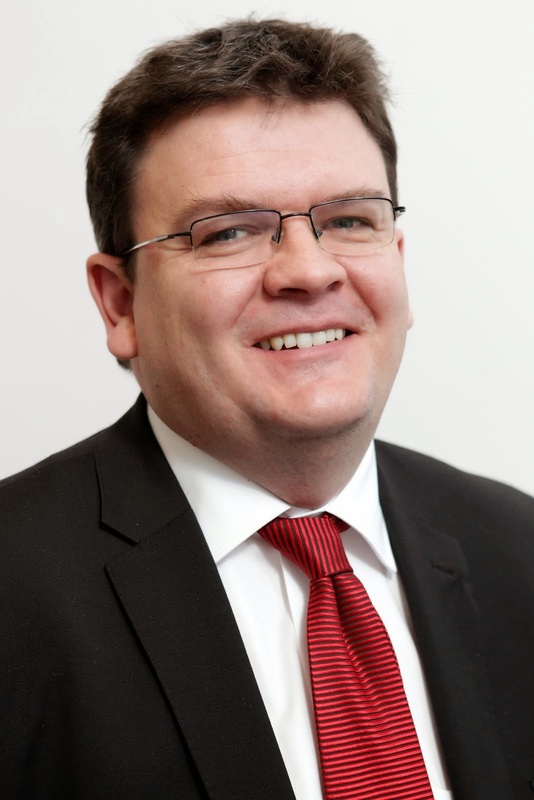 I want Dundee to be at the top of the recycling league, I want to cut waste, I am just not convinced that these proposals are the way to do that. Former Labour Councillor, the late Julie Sturrock, led the way with recycling in the city we need to be looking for innovative ways to promote recycling and make sure that Dundee remains at the forefront of recycling, I'm not convinced that these measures do that. In the tenemental areas of the city it is difficult to provide recycling facilities for each flat. I would rather that the council was looking for ways to do this, even ones that involved more cost, rather than trying to dress up savings as environmentally friendly. 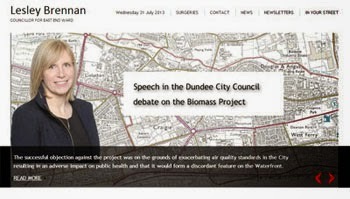 The overall question I would pose is whether a city is well-suited to fortnightly waste collections and in particular is Dundee well-suited? I have concerns about the impact that fortnightly bin collections will have on the community. People will be concerned that rubbish will be left out for longer, that some rubbish will not be stored in bins. People will be concerned about rats and other vermin. I will be looking for the council to show that this has worked elsewhere. As far as I know it has been tried in some areas and has been found to be unpopular and unworkable. I will be looking to find out about the experience elsewhere. I will be speaking to the trade unions to find out their views, I will be seeking a guarantee that there will be no job losses as a result of this change of policy. The council should publish its proposals sooner rather than later and we should have full scrutiny of them. Most of all I would urge the people of Dundee to make their voices heard to tell the council what they think about fortnightly collections. If you think that fortnightly collections are just rubbish tell the council that. On Monday evening I attended a meeting of the Development Management Committee, the main item on the agenda was the planning application for the refurbished railway station. 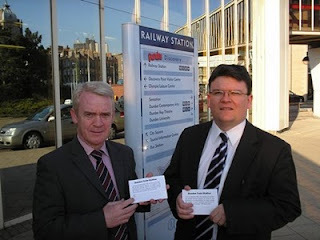 I have been campaigning for improvements to Dundee's railway station since before I was elected. I raised my concerns that the West End Community Council had been denied the chance to make their views known to councillors because they had missed the deadline for responding. I was told by officers and by the convener that it would be against 'natural justice' to allow the Community Council to speak at the meeting. I was going to raise some of the issues that Community Council were denied the opportunity to raise but my ward colleague, Councillor Fraser Macpherson, raised them. Instead I sought an assurance from the council officers that this was an appropriate building for this site and that it would add to Dundee. I was particularly concerned that it would afford a good first impression of our city to visitors and be a pleasant place to use for Dundonians. I was told that this was the case and that this would be an appropriate building and a major improvement. I hope that this is the case, the current railway station is a disgrace and while anything would be an improvement we need to have something that is much much better than that. 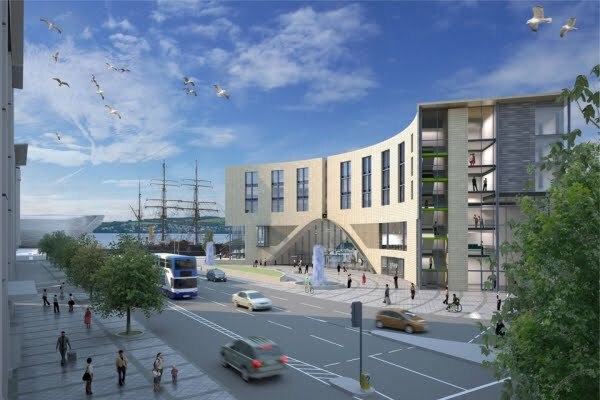 The proof of the pudding will be in the eating but I hope that architects and planners have got the right solution for Dundee. On the face of it this is a major improvement. I was delighted to chair a meeting of the Dundee Fairtrade Forum which took place at Morgan Academy. We met at Morgan Acadmey to hear about the great work of the Fairtrade group at Morgan Academy. Morgan is Dundee's only fairtrade secondary school. I would like to see more schools committed to gaining fairtrade status. Dundee City Council's fairtrade policy says that there should be more fairtrade schools in the city. Apart from hearing about the excellent work at Morgan Academy the main item for discussion was plans for Fairtrade Fortnight. One of the main events in Dundee will be in association with Take One Action, Oxfam and the Co-operative Group; there will be a film show at the DCA along with workshops. The theme will be Women, Food, Film and Power and the film The Dancing Forest will be shown. You can find out more on the Facebook page. You can see a trailer for the film below. As Dundee Labour spokesperson on Tayside Fire and Rescue Board I have responded to speculation about the future of Balmossie Fire Station. I have supported the retention of Balmossie Fire Station on the two occasions when it was under threat of losing full-time night-time cover. I'm clear that the new Scottish Fire and Rescue Service should not be used as cover to change the provision at Balmossie. 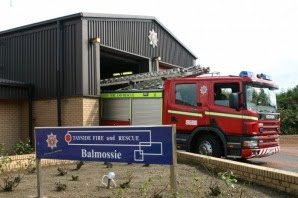 It would be a travesty if one of the first acts of the new Scottish Fire and Rescue Service was to overturn a democratic decision made by local councillors from across Tayside to retain full-time night-time cover at Balmossie. This decision has been made not once but twice and it should be respected. If the argument is that parts of Angus need an improved service then lets make the case and campaign for better funding. It is wrong to play one area off against another. The current system of governance of Tayside Fire and Rescue Service is far from perfect but at least by having local councillors making the decisions we were ensuring a level of local accountability. It would undermine the credibility of the new Scottish Fire and Rescue Board if they came in and immediately overturned a local democratic decision. They must listen to the voice of local politicians and much more importantly local people and on Balmossie the message was loud and clear the case for reducing cover was not supported by local people. Surely the latest attempt to hide behind the Changing for the Future Board just goes to show what a sham it is. We are told that the Administration's savings proposals come from this secretive body and they come with little detail. 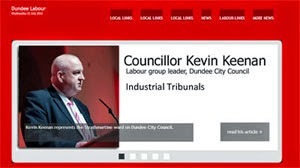 As an elected member of Dundee City Council I do not receive a copy of the agenda or other papers for this meeting, neither do I receive minutes of the meeting. These documents are not available to the public either. How am I to know whether the council is reporting honestly without access to the papers? 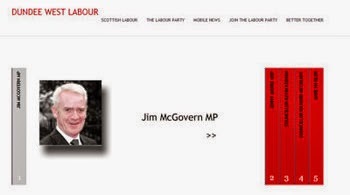 It is also not possible to find out the membership of this shadowy body from the council's website. In the Councillor's Code of Conduct produced by the Standards Commission for Scotland it states that one of the key principles for councillors is openness. It goes on to define this as, "You have a duty to be as open as possible about your decisions and actions, giving reasons for your decision and restricting information only when the wider public interest clearly demands it." I cannot see how the actions of the Changing for the Future Board meet this duty. Information is still being restricted on some of the proposals, this is not in the public interest but in the political interests of the administration. The Changing for the Future Board is a secretive sham. At a time when the public expect more openness from government at all levels, in Dundee we get major decisions made by a secret cabal. There are difficult decisions being faced by the council thanks to funding decisions made in Holyrood and Westminster, the council should be consulting with the public on its budget proposals instead of making decisions about people's jobs and young people's education behind closed doors. 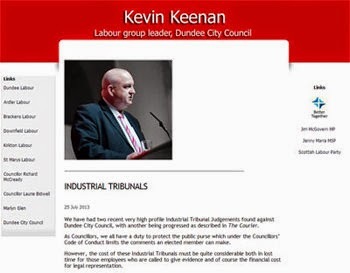 The Leader of the Council and the Chief Executive have a duty to every councillor, they have been unable to convince anyone other than SNP councillors to attend these secret meetings, they have a duty to think again and look to end this secretive group.